What is a far? 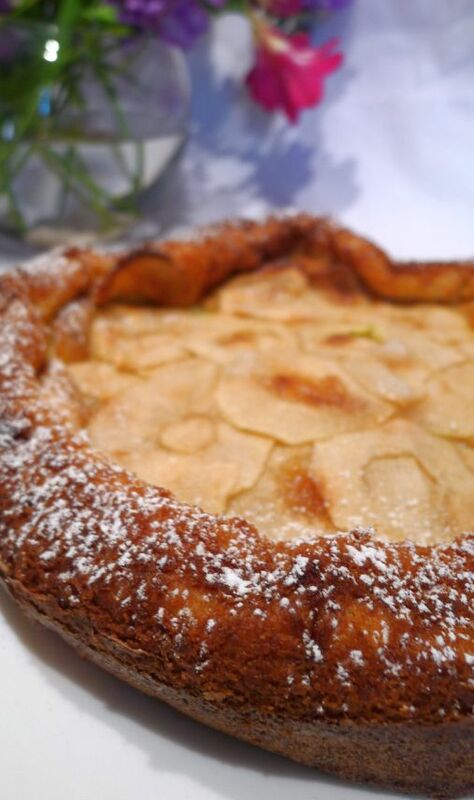 A Far is a traditional cake or dessert from the Brittany region in France. 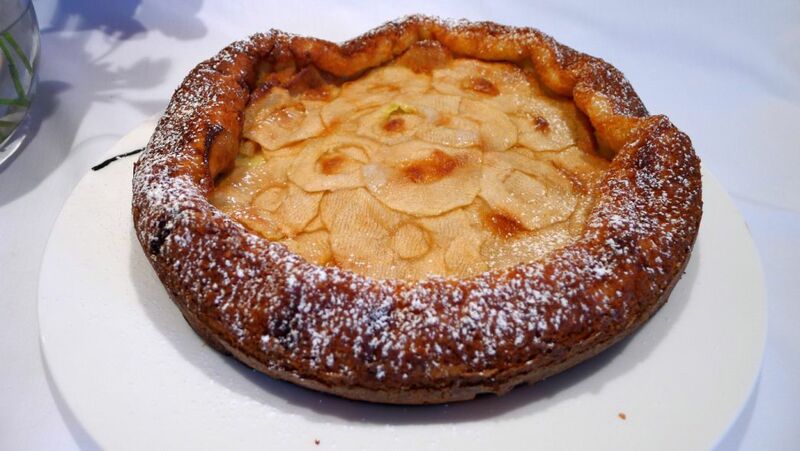 Its base is similar in composition to a clafoutis batter or a flan-style eggs-and-milk custard with flour added. 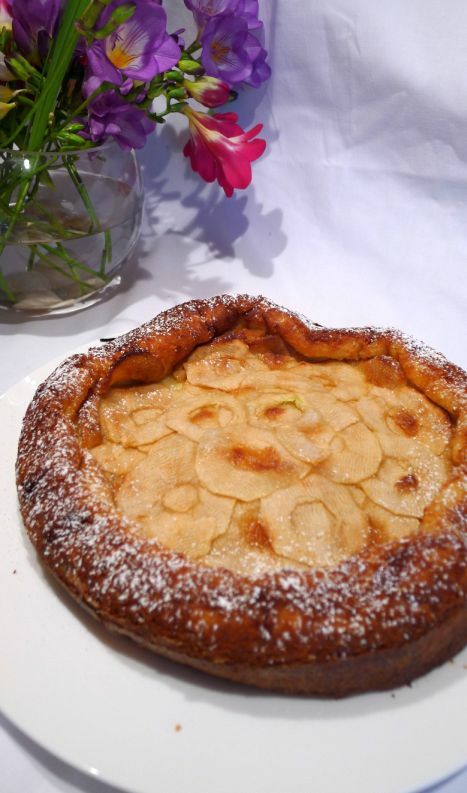 The secret of this delicious dessert is using lightly salted butter which are usually not called for in pastry recipes. 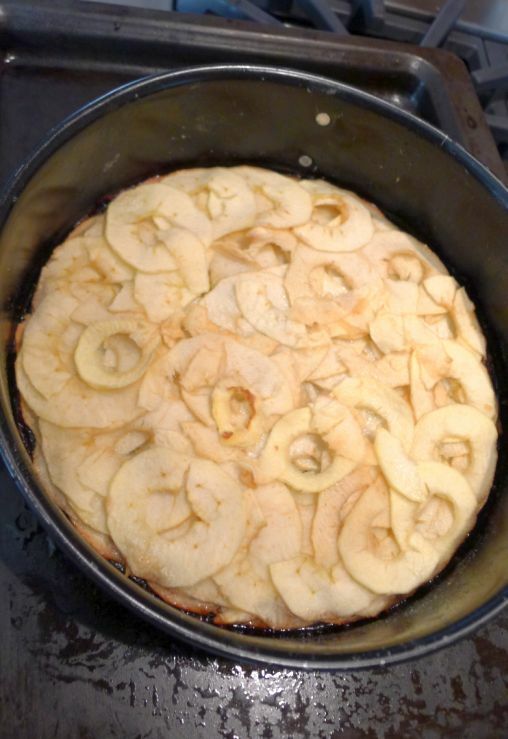 The cake will rise above the pan when cooking and then fall when removed from the oven. 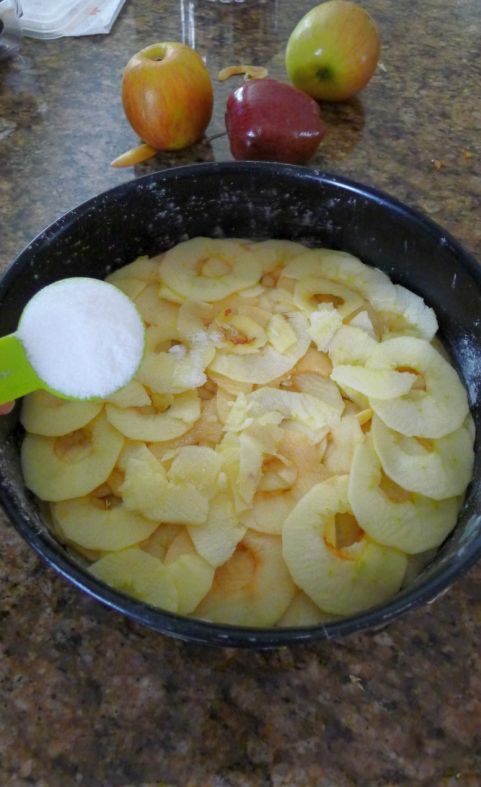 Wait until it falls completely to get its full flavor and an attractive rustic look. 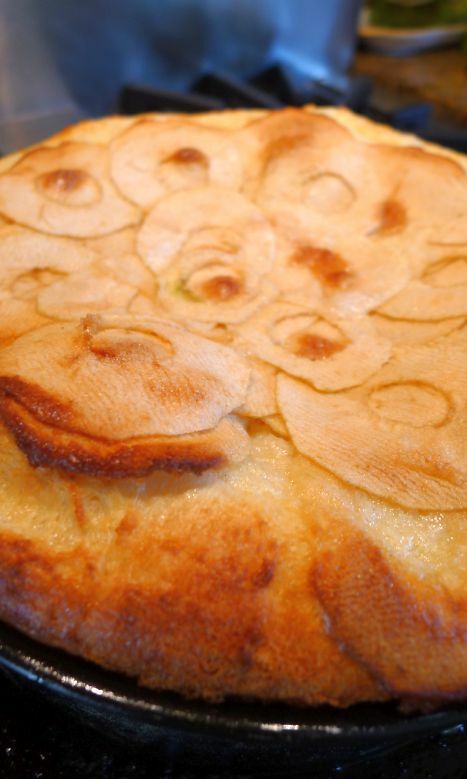 Thin slices of apples can be found at the bottom and on the top of the cake. 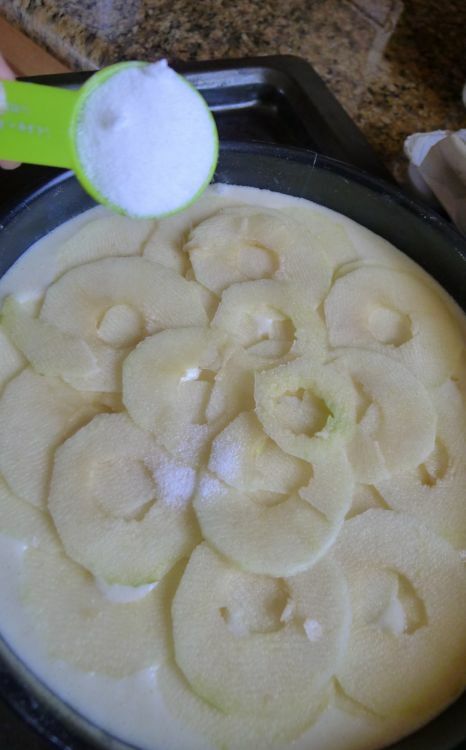 The cake taste similar to a flan and is delicious with the slices of apples. 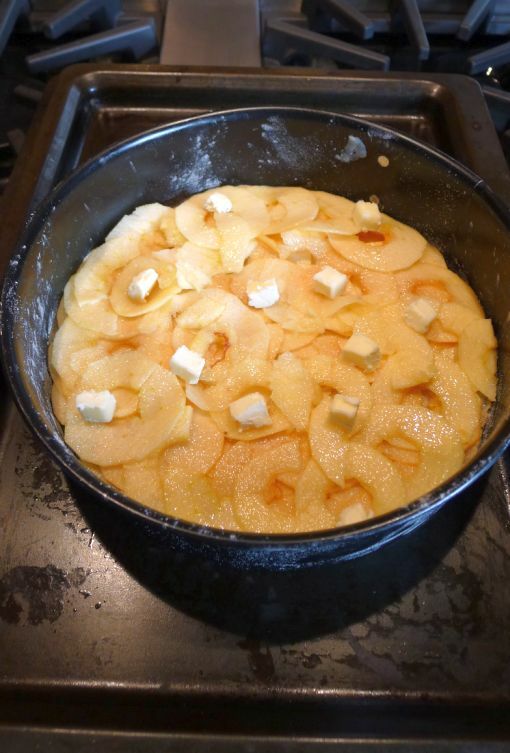 in a concentric circle until the bottom of the pan is covered. and dot with 1 tablespoon of the butter. 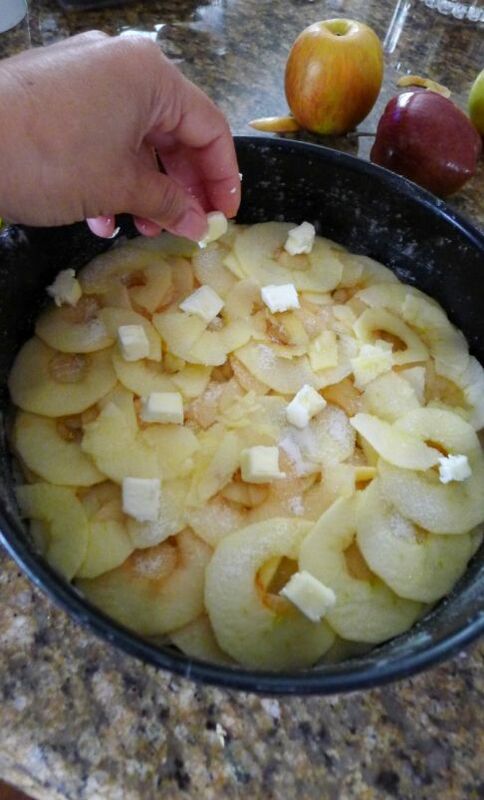 Place the cake pan on a baking sheet and bake for about 30 minutes or until the apples are tender in a pre-heated oven at 375 degrees. 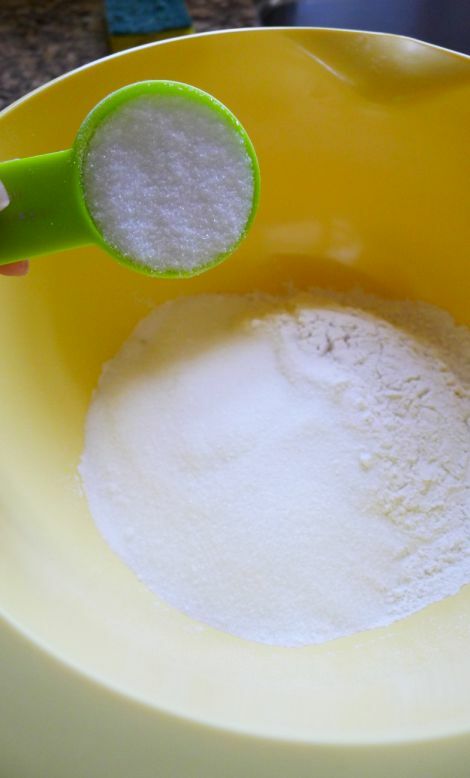 Sift the flour together with 6 tablespoons of the sugar into a large mixing bowl. 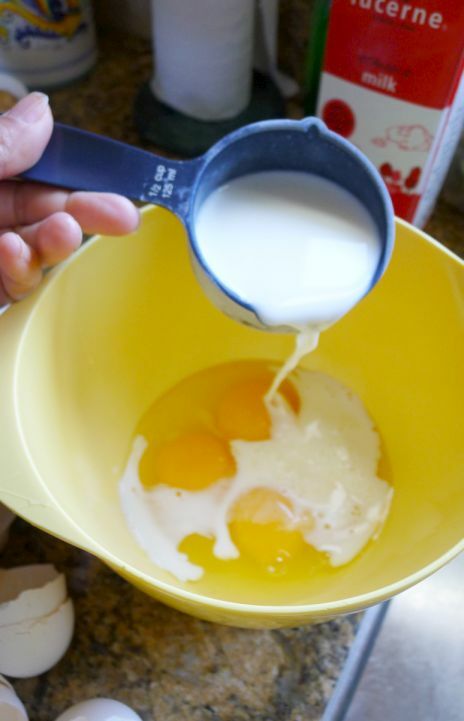 In a separate bowl, add the mil and eggs. 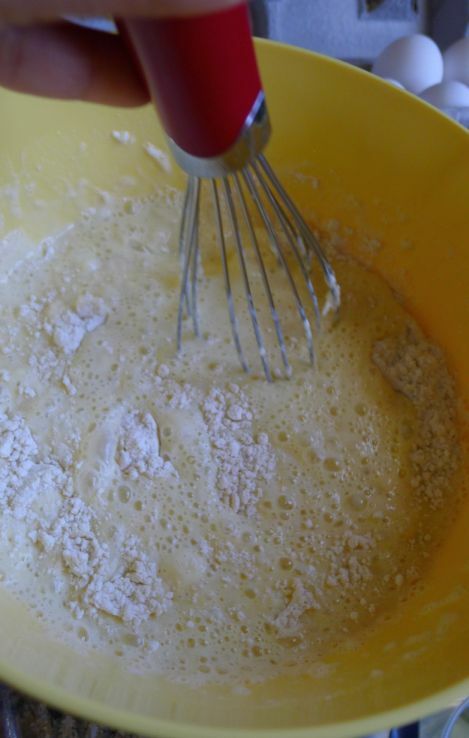 Pour the milk/egg mixture into the flour/sugar mixture. 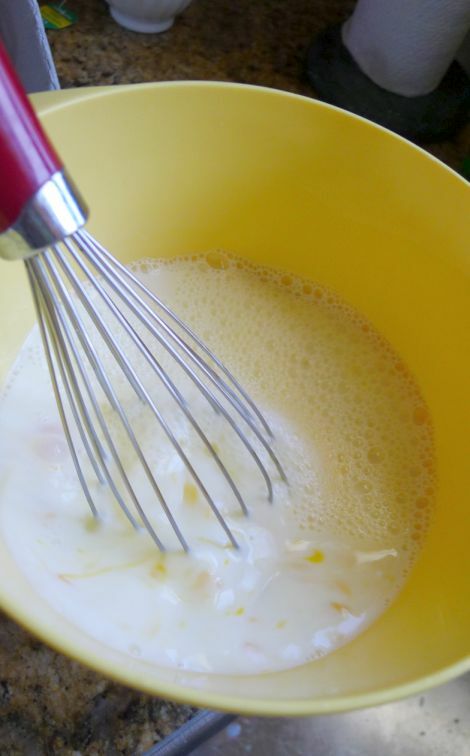 Whisk constantly until thoroughly combined. 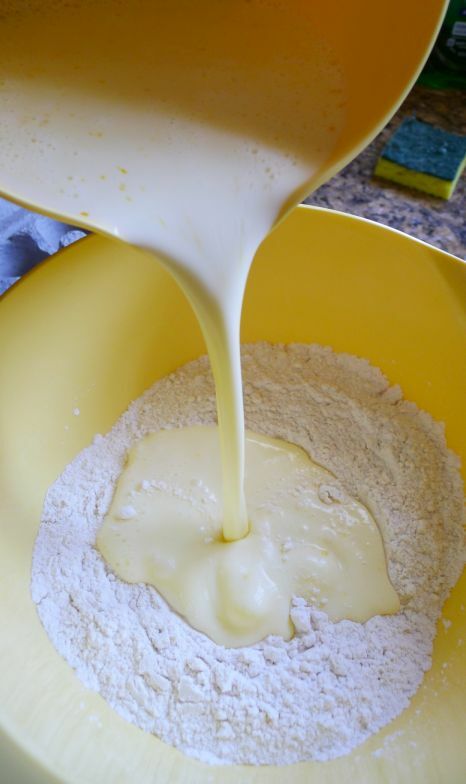 Melt the butter into a microwave and pour it over the mixture. 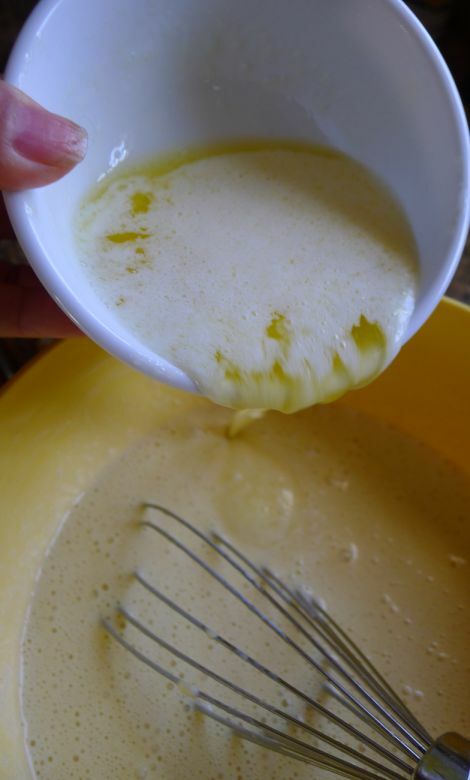 Add the vanilla and whisk well until combined. 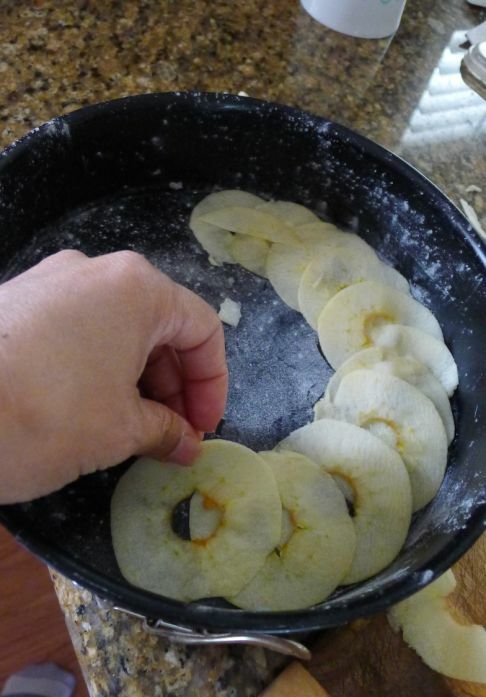 Pour the batter over the cooked apples slices. 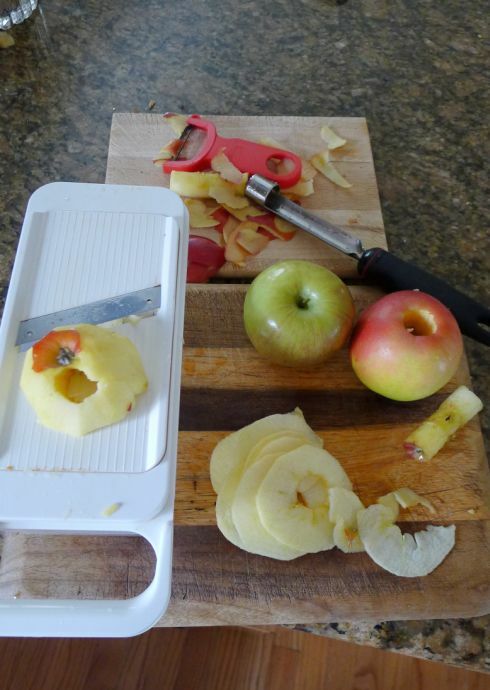 Peel and core the 3rd apple and slice very thinly. 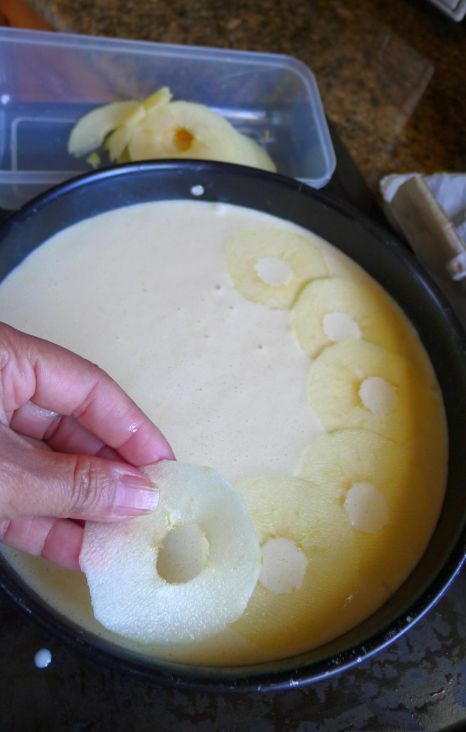 Lay out a layer of sliced apples on top of the batter. 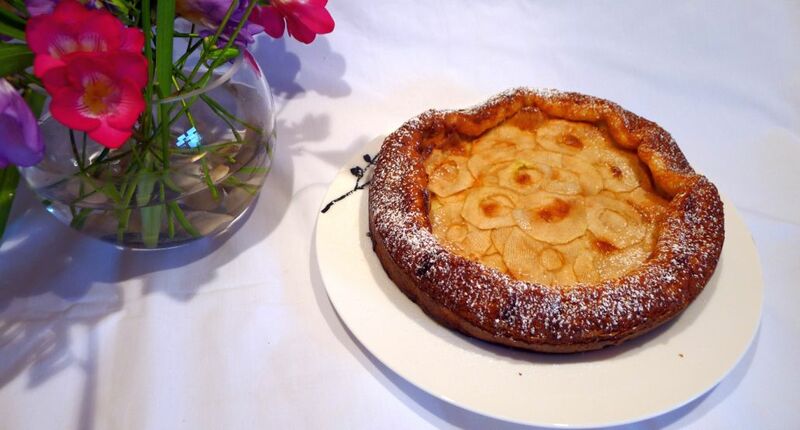 ...or until the cake is puffed, golden and crusty around the edges. 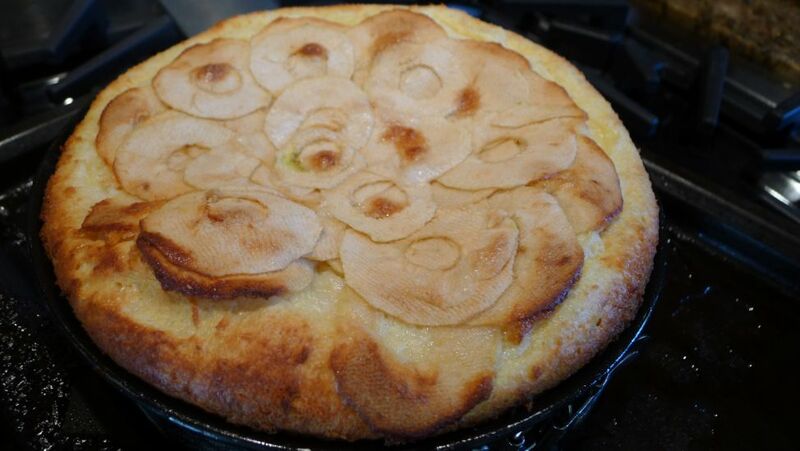 The cake will fall down after it is removed from the oven. 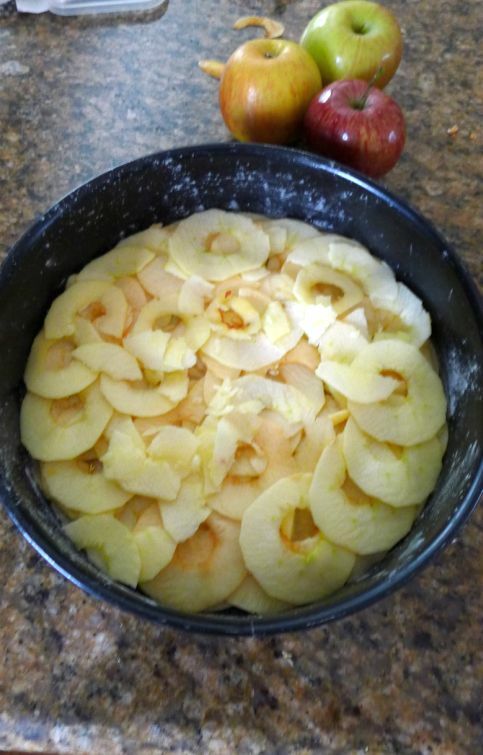 Wait for about 15 minutes and it is ready to be served.